CSUN’s Music Department’s Jazz Studies students will compete in the 2018 Next Generation Monterrey Jazz Festival. Band Members from Left to Right: Sean Harrison, Luke Reeder, Myles Martin, Keelan Walters and Ian Houts. Photo courtesy of Ronald M.Borczon. Young musicians from all over the nation — inspired and motivated by their passion for jazz music — auditioned for the annual Next Generation Monterrey Jazz Festival (NGMJF). This year, a California State University, Northridge student-band will get the chance to share their love of music with the world. The band, Kairos, is made up of five jazz studies students — bassist Ian Houts, drummer Myles Martin and saxophonist and Kairos founder Sean Harrison, all sophomores; and junior guitarist Keelan Walters and senior saxophonist Luke Reeder. They will compete in the college combo division at the NGMJF on Saturday, March 10. The three-day-festival begins Friday, March 9, and ends Sunday, March 11. At the festival, Kairos will be competing in the college combo division against the Berklee Global Jazz Institute Amber Ensemble, Sacramento State University Jazz Combo, The New School Improv Ensemble, University of Miami, Frost School of Music New Music Ensemble and University of Las Vegas Honors Trio. The band members screamed with excitement when they heard the news of their acceptance into the competition, said Harrison and Walters. During the three-day event, students will have the opportunity to attend the Friday night judges concert, play music with other students, perform for locals, learn tips and techniques in workshops led by music industry professionals and receive critique from the adjucators — Dan Balmer, Shelly Berg, Tanya Darby, Alan Ferber, Joel Frahm, Tia Fuller, Sara Gazarek, Ingrid Jensen, Kendrick Scott, Fletcher Sheridan, Gary Smulyan, George Stone, Katie Thiroux and Michele Weir. 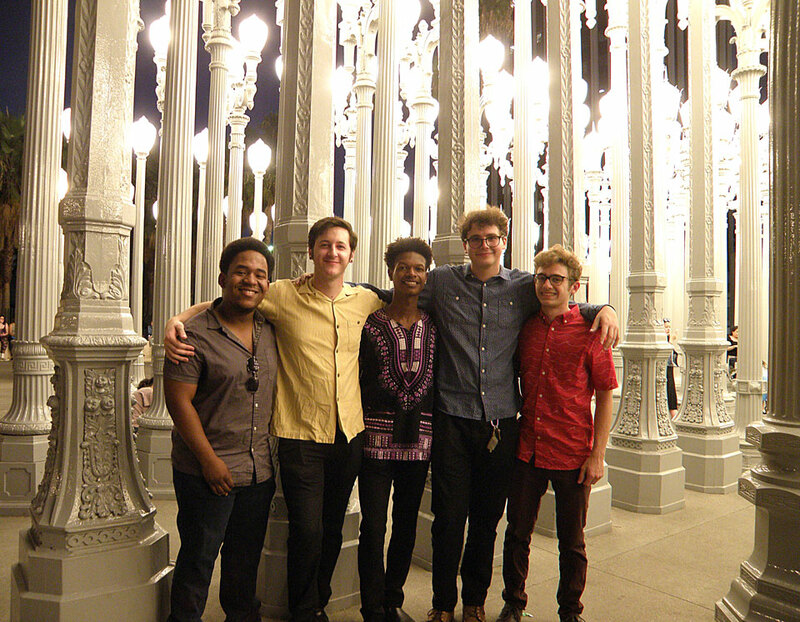 CSUN student musicians have a history of capturing the attention of the festivals judges. In the past, CSUN students placed second in the 2017, third in 2016, first in 2012 and 2011 and 2010. For more information on how to purchase tickets for the event please visit, the festival’s website.